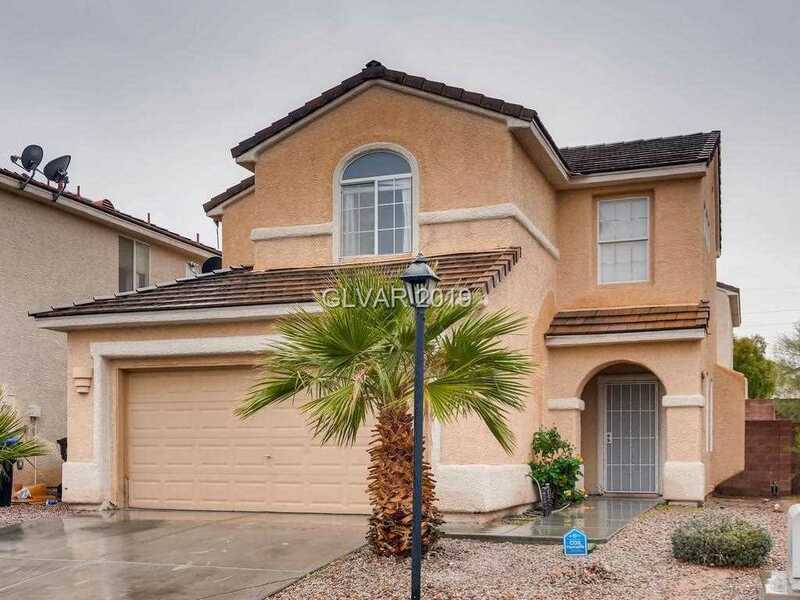 Meticulously Cared For 3 Bedrooms, 2.5 Baths, 2 Car Garage Home Includes: Eat-in Kitchen with Solid Surface Counters and Stainless Appliances Open to Family Room! Upgraded Laminate Wood-like flooring throughout the home..even the Stairs and Beds! Master has Large Walk-In Closet, Bath with Tub/Shower, Double Sinks and Separate from Sec Rooms, Upstairs Laundry, All appliances stay, This home is truly Turn-key! Gated Community w/Park!!! Directions:From I15 and Craig Rd, West on Craig, South on Commerce, L on Imagination Ave (Gate), L on Joyous St, R on Gracious Crest, L on Neighborly. SchoolsClick map icons below to view information for schools near 4127 Neighborly Ct North Las Vegas, NV 89032.